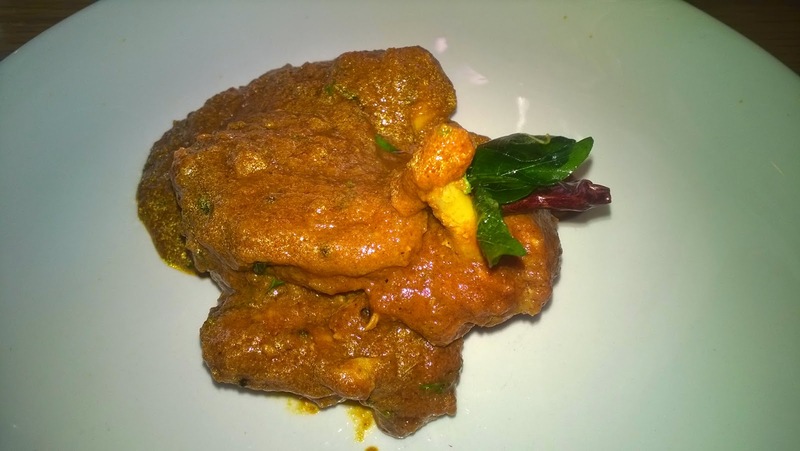 Trials & Tribulations Of A Brummie Mummy: Lasan Indian Restaurant Review - A Birmingham Gem! 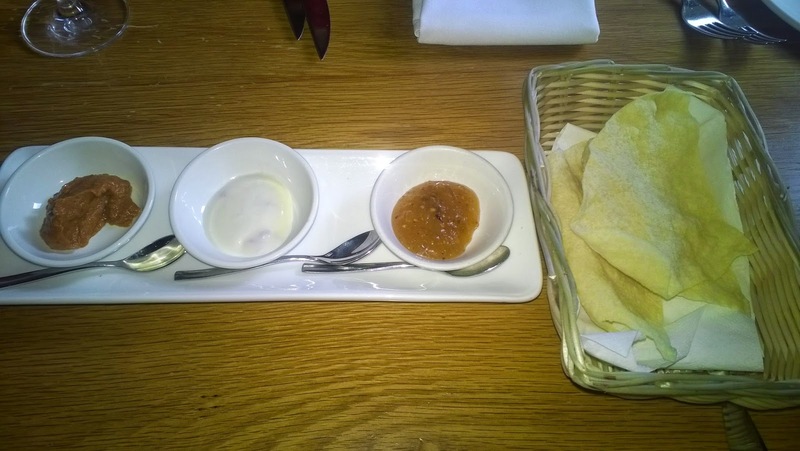 Lasan Indian Restaurant Review - A Birmingham Gem! I'm Birmingham born and bread though and though but it still amazing to find a hidden gem in the city. Being a Brummie I generally know what's about in the city, where to go for nice food what I like and what's been tested before. I'm gonna put my hands up and stay I love Indian food, but I generally make it myself at home. Takeaways around my area aren't great and if we get the chance to go out we wouldn't normally go for Indian food. 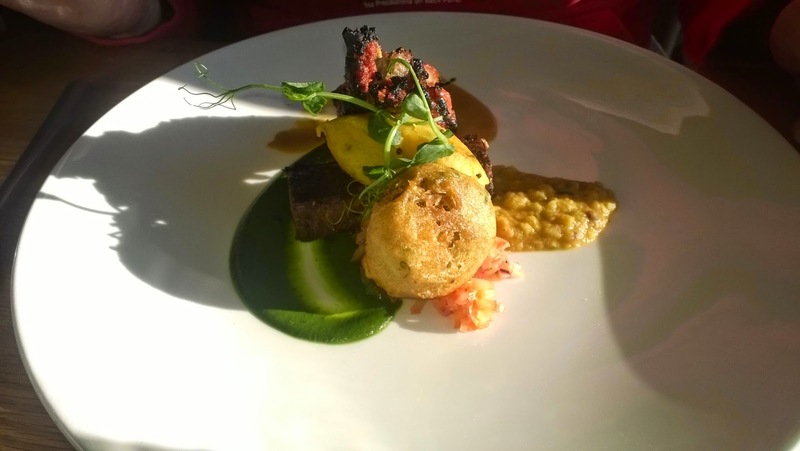 With it being Valentine's Day this week, we was excited to be asked to go and try Lasan in the city centre. Lasan is very close to the jewellery quarter it's literally a hop, skip and a jump. It's very rare we get a babysitter so we was really happy to get an afternoon away to ourselves. 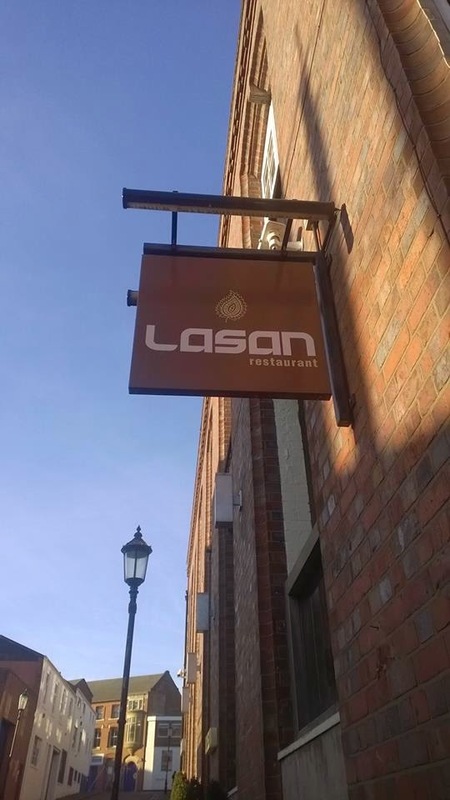 I have actually heard of Lasan before as i'm a huge Gordon Ramsey fan, I know he voted Lasan Best Local Restaurant in the UK in 2010. When he was touring with the F Word. Lasan also won the Asian Business Restaurant of the Year 2013. So I had a feeling the food would be amazing. The restaurant itself it very charming, lovely decor and it's quite small and intimate. The staff are extremely friendly and on top of clearing table and asking if extra drinks etc are needed. 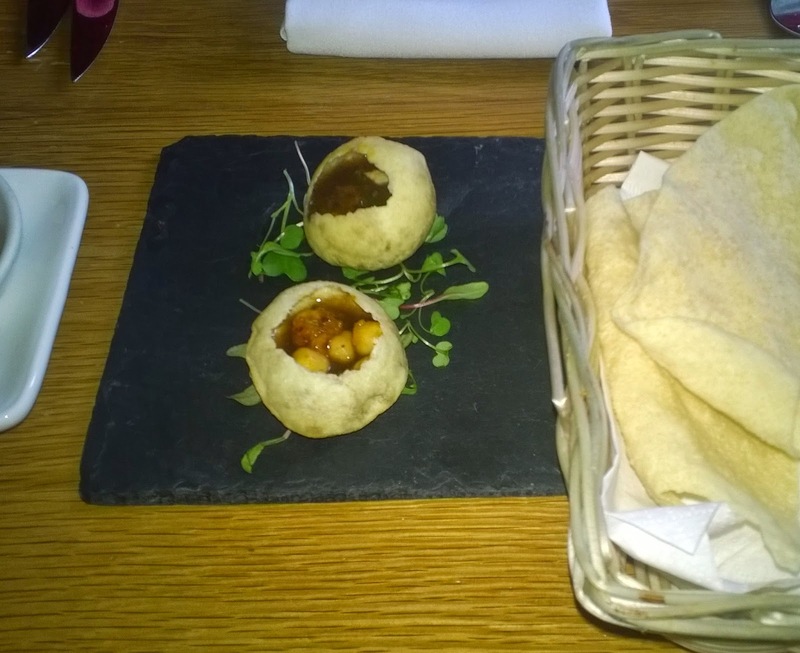 We started off with a complimentary dish Amuse Bouche which is to clean the Pallete before you start your meal, which was a light shell, filled with chick peas and a tomato masala, tamarind, topped with a minty sauce. Also was some popadoms with traditional dips. The flavours was amazing and a great start. 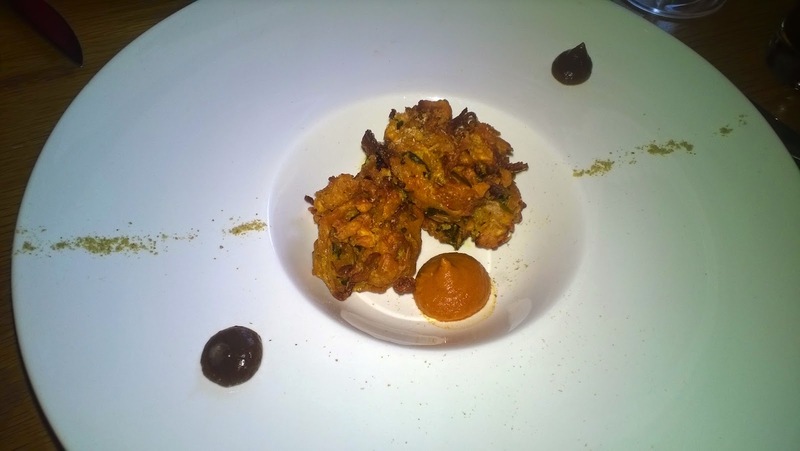 I had the white Cabbage and lentil pakora - Crispy cabbage and onion fritter bound in a light gram flour, fenugreek and cumin batter. Served with spiced mango and lentil chutney. The flavours was bursting and I really enjoyed my starter. 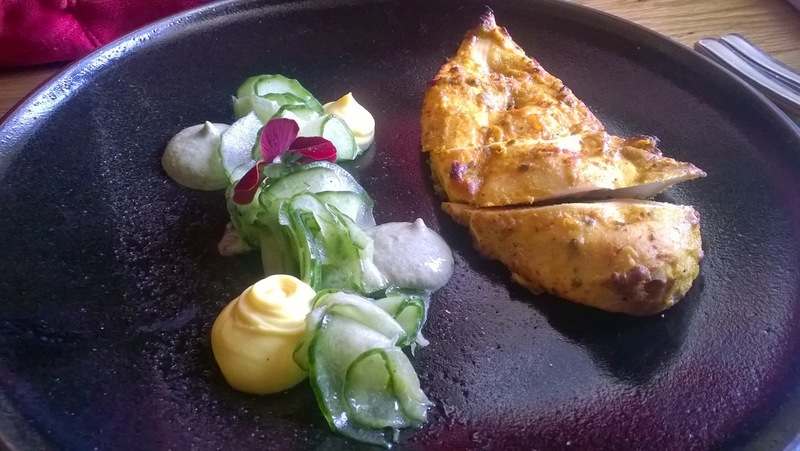 The boyfriend had the Lassoni Malai Tikka which is breast of free range Creedy Carver chicken marinated in creamed garlic and fennel infused yoghurt. Served with honey beetroot and green chutney. He really enjoyed his started and it looked amazing. I had the Kukkar Makhani for my main and it was just a fusion of different flavours bursting though. Punjabi style chicken tikka marinated with hung yoghurt and tandoori masala. Roasted in tandoor then simmered in light tangy tomato, honey and cashew nut makhani sauce. I don't think I've had such an amazing or tasty curry ever before. The other half had the Lamb Lababdar. Free range Wiltshire Downs lamb, marinated cutlet, 10 hour confit shoulder, soft Awadhi style pate of breast and tempered lentils with smoked braising juis spiced with nutmeg and cinnamon. Winning dish from the semi-finals on Gordon Ramsay’s F Word. He really enjoyed the different flavours and it looked amazing on the plate. We also had super fluffy pilau rice and naan bread to share but we was so occupied with eating I forgot to take a picture! We had such an amazing time and it was great to have something different and out the norm for us the other half is already planning the next visit.